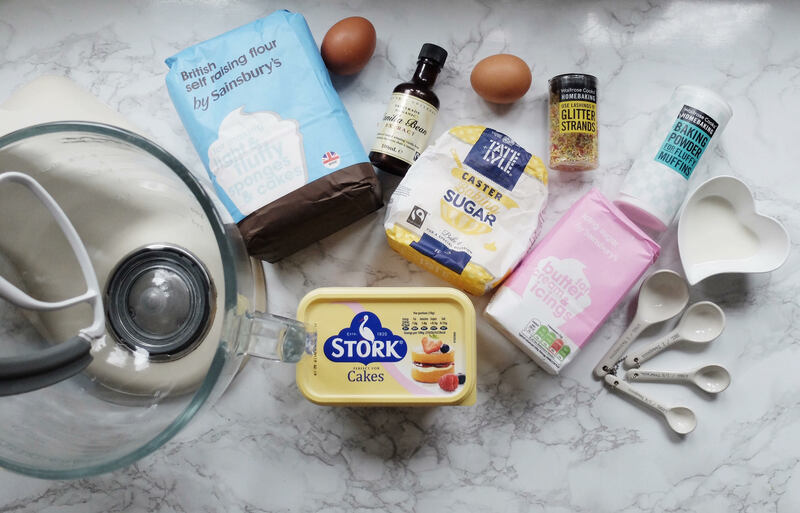 Natalie from http://www.thissurreymummy.com/ has shared with us her easy peasy recipe to make The Easiest Vanilla Tray Bake Ever. Ideal for an afternoon treat or even a birthday cake, this is a huge hit in her household. ‘I don’t know about you, but one of my finest memories at school was definitely school puddings. Thick jam sponge with jam on top, rice pudding, tapioca they were all fab, but there was one for me that stood out by a mile and to this day is still my all time favourite school pudding. Iced sponge and custard. Thick pillowy sponge with a thick slab of ice white icing dribbled down the side with a huge helping of sunshine coloured custard. Bliss. I have always been a big fan of baking but every time I tried to make what you would imagine was a fairly simple sponge recipe something just was not right, that was until a couple of summers back. We were gathered for our annual Brown family summer bash and my cousins grandma, Nanny Maureen as we know her had come and had made this sponge. It’s one of her trademark bakes and one that was gobbled up within minutes and it was delicious. She gave me the recipe and it’s the one that I have turned to time and time again when wanting to make this cake. 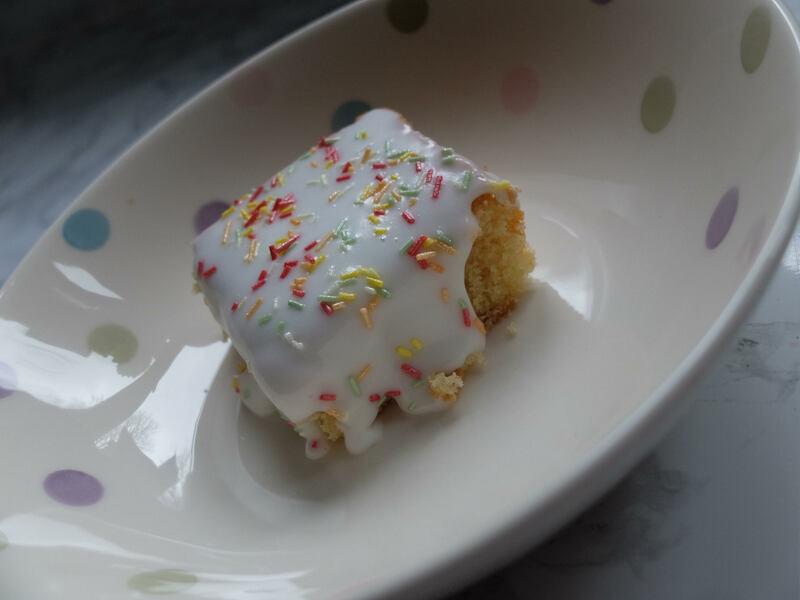 It’s such a versatile cake as it’s perfect as an after school treat with a glass of milk for the children or cut into thick squares and smothered in custard for an ideal pudding. So, here’s how it’s made….. Pop all the above CAKE ingredients into a bowl and mix with an electric whisk for a couple of minutes until smooth and it “plops” off the spoon. Spoon and smooth down into the tin and bake for 25-30 minutes and until golden brown and the sponge springs back to the touch, leave to cool in the tin on a wire rack. When the sponge has cooled mix the icing sugar with enough water to create a smooth spreadable consistency. Sprinkle with hundreds and thousands or topping of you choice!